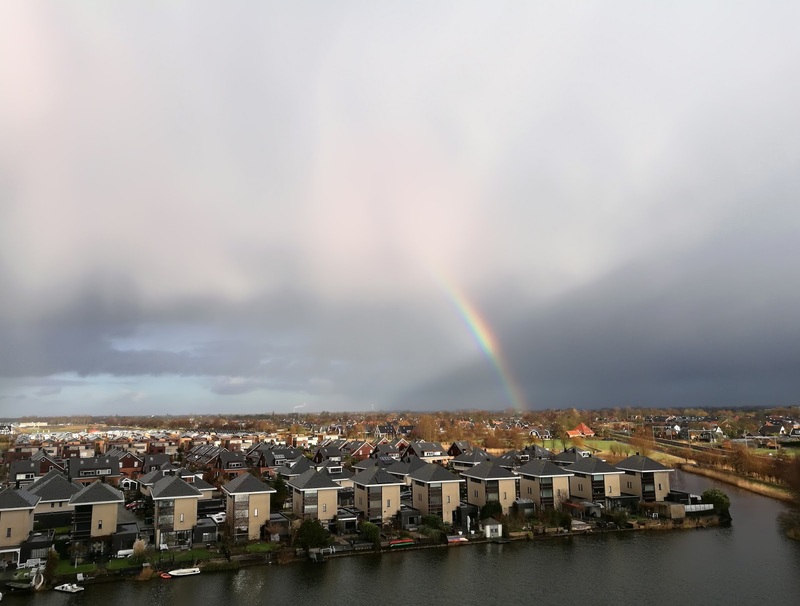 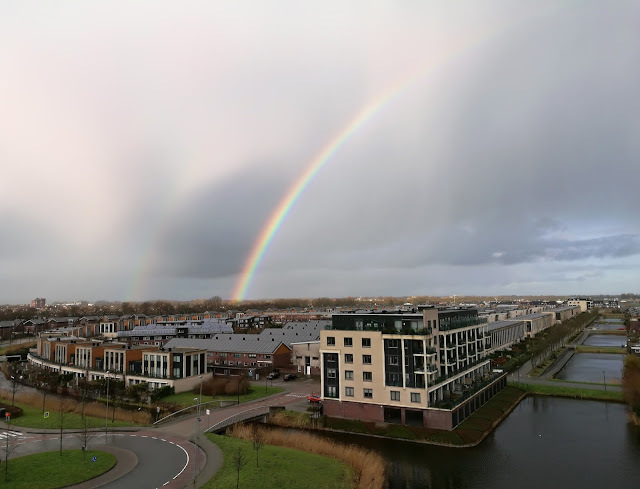 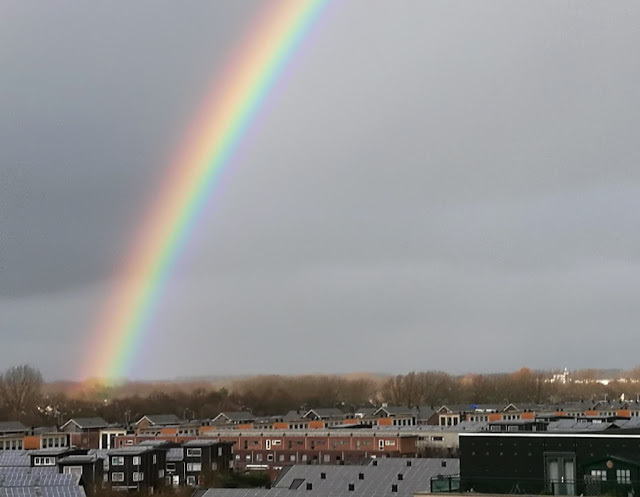 I was visiting a friend this week on the 6th floor of an apartment block when we were suddenly confronted with an enormous rainbow. It was so big I couldn't fit the whole thing on my camera. 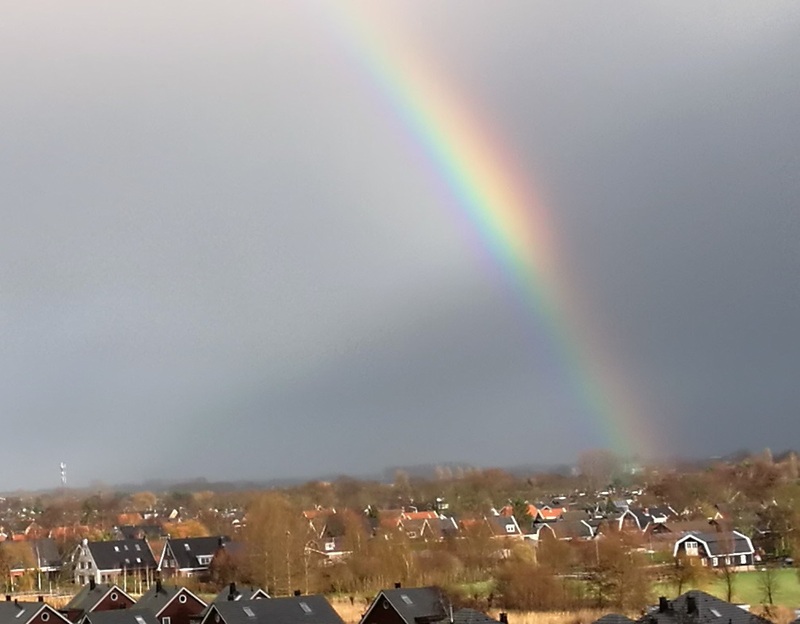 I'm in southern Oregon and was just looking at a big rainbow , what a great gift from God.